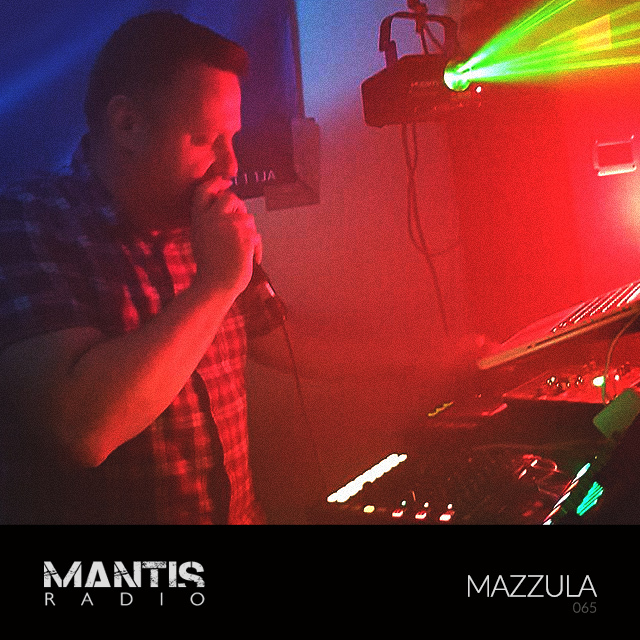 We’re back with one hell of a showcase session for Mantis Radio, UK electro producer Mazzula shows his might and his take on the sound. Living in what might be called a “cultural void” as far as dance music is concerned, has only further inspired Paul ‘Mazzula’. Treading the line between electro breaks and techno, recognition has been growing steadily with artists such as Radioactive Man and Dave Clarke supporting. The current Alive EP is winning Mazzula many plaudits, and is a fitting follow up to earlier, well-received releases on Data-Trace and Bassgun. 2010 is shaping up to be busy, with him working with i-o inc, and Digital Distortions, along with another EP on Data-Trace later in the year. Known for his livesets, this showcase is a good example of what to expect. Never doing things the easy way, Mazzula’s ethic means his tracks are blown open when played live, and all are different interpretations of the full released tracks, broken down into component parts and re-stitched for full impact. I enjoy playing out, and can’t see the point of djing my own tracks. I want as much out of it as the audience. UK electro talent Mazzula is back.